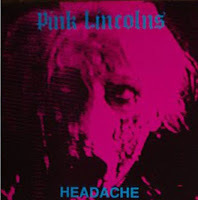 My buddy over at Punk Archives blog notified me last week that he had finally come into possession of one of his holy grails, the Pink Lincolns ultra-scarce, 1989 sophomore effort Headache. 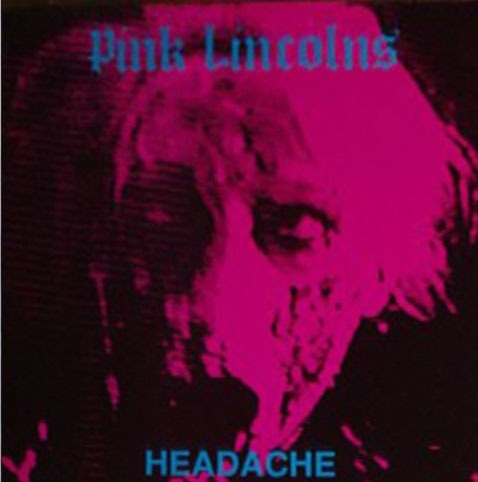 Released only in Europe in a limited run of a mere 500 copies, Headache was the follow up to the comparatively more findable Back From the Pink Room (recently reissued I should add). This often snotty, tongue-in-cheek punk aggregation was based in Florida, and on this record the Lincolns suggest what a merger of what the Queers and early Mr. T Experience could have spawned. Maybe. Possibly. Well, not exactly, but close enough. From what I recall these guys had a good following, and might still be in existence in one configuration or another. Pink Lincolns. Pretty in punk. A link to the full dozen-song album is below, and you can read the original entry at Punk Archives here. Awesome, I've been looking for this album for a while as well. Thanks very much! Hi, any chance of re-upping this one?